Jennifer Croft is an American author, critic and translator who works from Polish, Ukrainian and Argentine Spanish. With the author Olga Tokarczuk, she was awarded the 2018 Man Booker International Prize for her translation of Flights. 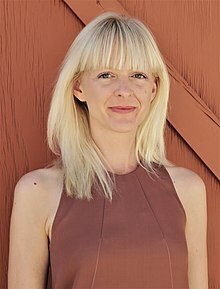 Croft is the recipient of Cullman, Fulbright, PEN, MacDowell, and National Endowment for the Arts grants and fellowships, as well as the inaugural Michael Henry Heim Prize for Translation and a Tin House Workshop Scholarship for her novel Homesick, originally written in Spanish. She holds a PhD from Northwestern University and an MFA from the University of Iowa. She currently divides her time between Buenos Aires and Los Angeles. She is a founding editor of The Buenos Aires Review and has published her own work and numerous translations in The New York Times, The Los Angeles Review of Books, VICE, n+1, Electric Literature, Lit Hub, BOMB, Guernica, The New Republic, The Guardian, The Chicago Tribune, and elsewhere. Croft translated Romina Paula's August for The Feminist Press in April 2017. Her translation of Tokarczuk’s Flights from Polish was published by Fitzcarraldo Editions in May 2017. Croft is currently translating Tokarczuk's novel Księgi jakubowe (The Books of Jacob), that won the Nike Award in 2015. Croft has written about translation and exile (https://granta.com/best-book-of-1953-1994-trans-atlantyk/), contemporary American fiction (https://lareviewofbooks.org/article/sentenced-at-conception-the-imprisoned-and-unloved-in-rachel-kushners-the-mars-room/) and Tempelhof Airport (https://blog.lareviewofbooks.org/essays/recovering-tempelhof/). I only translate works from Spanish that were written by Argentine authors—there’s such great diversity among the different Spanishes, and I’ve always felt it’s really important to be fully familiar with all the little components of speech, the quotidian rhythms writers employ and depart from. It’s important for me to be able to hear the tone of a sentence, picture the facial expression and gestures that would accompany it, in order to find a fitting rendition in English. Croft received a PhD in Comparative Literary Studies from Northwestern University. With the author Olga Tokarczuk, Croft won the 2018 Man Booker International Prize. I stumbled upon Olga Tokarczuk’s first short-story collection, Playing Many Drums, in 2003 as I prepared for a Fulbright at the University of Warsaw, where I would continue to study literary translation. Right away I loved her soothing, nuanced style, but I think the thing that appealed to me most was her psychological acuity, her ability to distill the essence of a person—I say "person" since her characters are so alive it’s hard for me to call them characters—and set in motion relationships that might charm and shock us at the same time, all while feeling both familiar and fresh. Tokarczuk calls Flights a "constellation" novel, which partly means she brings lots of different ideas and stories and voices into relationship with one another via the lines the reader draws between them. This made the translation process both challenging and particularly delightful, since I was able to tap into a fresh subject every time I sat down to my computer. One minute I was worrying about the woman who flies back to Poland from New Zealand to kill a dying childhood friend; the next I was amused by the foibles of the Internet; the next I was rethinking my own approach to travel, or to my body. I could go on and on. I loved translating this book. ^ a b "Man Booker International Prize: Olga Tokarczuk is first Polish winner". BBC News. 22 May 2018. Retrieved 23 May 2018. ^ "Contributor: Jennifer Croft". (Words without Borders), The Online Magazine for International Literature. Retrieved 23 May 2018. ^ "Olga Tokarczuk's Book 'Flights' Is Taking Off". Retrieved 2018-08-13. ^ a b Chaffee, Jessie. "The Translator Relay: Jennifer Croft - Words Without Borders". Words Without Borders. Retrieved 2018-05-28. ^ "About". Jennifer Croft. Retrieved 2018-08-13. ^ Becker, Eric M. B. "2018 Man Booker International Prize Q&A—Jennifer Croft - Words Without Borders". Words Without Borders. Retrieved 2018-05-28. This page was last edited on 18 February 2019, at 19:02 (UTC).